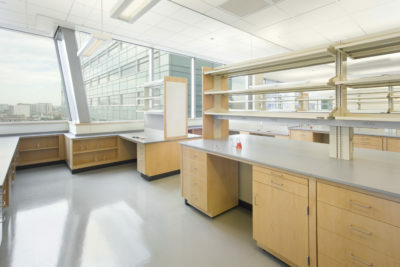 Classroom, Higher Education, Research, Industrial or Healthcare, CiF has a solution for all market segments: Premium Wood, Premium Plastic Laminate and Painted Steel/Metal. 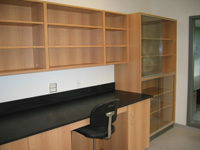 The highest quality materials, construction methods and a large choice of veneer species, cuts and matching selections. The same quality materials and construction platform as E-Line…but limited to Oak and Maple. 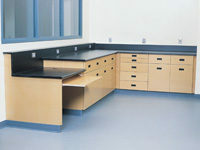 Construction details and durable designs that make this line of casework an ideal choice for a public project that needs a specifiable solution. 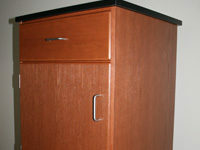 The look of lipped door and drawer fronts on a K-Line Series box. 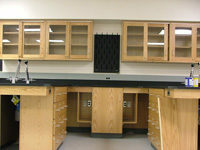 Medium Density Fiberboard casework with a stained or painted finish or with veneered door and drawer fronts.